The Corner House (Villa Kochmann, Dresden), executed in 1913, is related to a series of paintings with great expressive force dated between 1912 and 1916. These works, which Ludwig Meidner called “Apocalyptic landscapes, ” were first shown at the Der Sturm gallery in Berlin in November 1912. 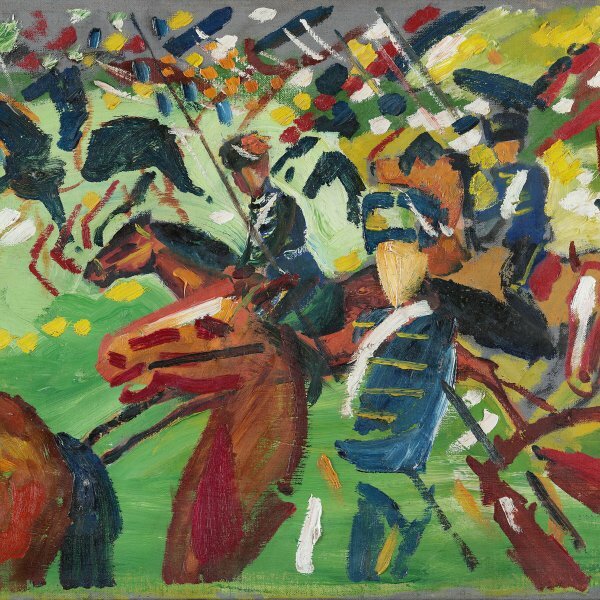 In these urban views, Meidner, who had proclaimed “let’s paint what is close to us, our city world!, ” depicts the political and social turmoil of Germany during the years leading up to the Great War. As in George Grosz’s Metropolis, the present painting by Meidner illustrates the influence exerted on his Expressionist style by the aesthetic and urban themes of Italian Futurist works, which he had viewed at the Der Sturm gallery the previous year. It also evidences the Orphism of Delaunay, whom he met at the Josti café in Berlin, perhaps in connection with his exhibition held at the same venue in January 1913. However, whereas the Futurists exalted the energy of the city and Delaunay produced colourful and Cubist images of the great modern monuments such as the Eiffel Tower, Meidner’s urban landscapes convey an apocalyptic atmosphere and appear to us today to be premonitions of the chaos and destruction that lay in store. Executed a year before the outbreak of the war, the painting shows Villa Kochmann, on the corner of the Residenzstrasse and Alemannenallee in Dresden, which still stands. 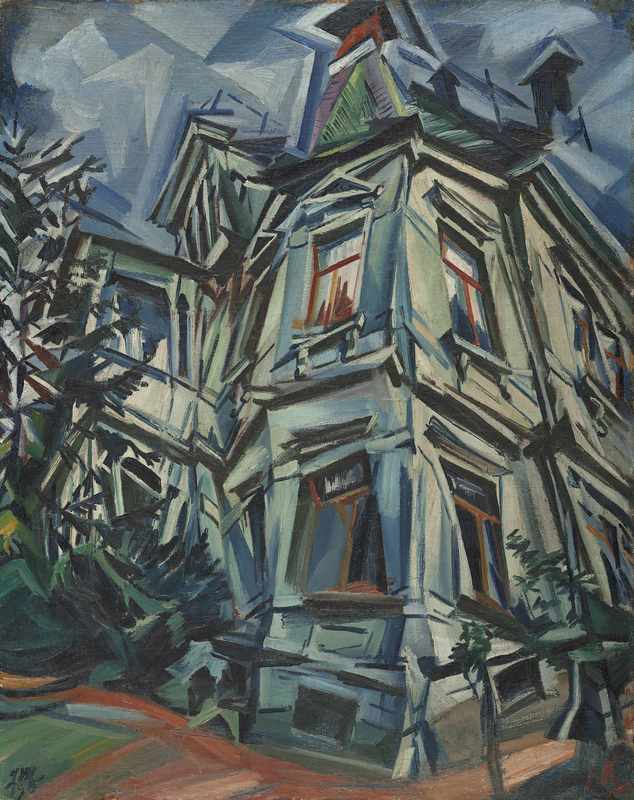 The deconstructed building, captured in the middle of the night using a palette of black, grey and bluish tones, is considered by some authors to be a portrait of the house’s owner, Franz Kochmann, who had made a fortune from a liquor store in Kattowitz and owned a lithographic workshop in Dresden. This hypothesis would explain why Meidner made many sketches of the house before producing the final version on canvas, as Thomas Grochowiak states in his monograph on the painter.